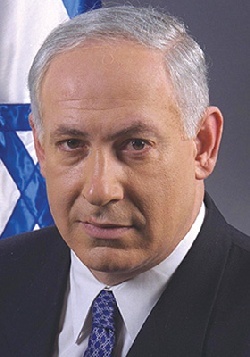 H ow many Palestinians do you need to kill in order to become prime minister of Israel? It seems like a legitimate question right now. It’s also a Goldilocks kind of question: What’s just right — enough but not and too many? As Israel’s February election comes closer, the contours of the campaign argument are starting to emerge. The deadline for wrapping up the war — the US Presidential Inauguration — is just days away and after that comes the task that for Livni, Barak and Olmert may prove far more difficult to accomplish than was their success in selling the war. Right now, even if outside Israel in places such as the British parliament where they have been branded as “war criminals” and “mass murderers,” inside Israel the war triumvirate is riding high. Serious trouble though is looming ahead. Once the fighting stops the global media is eventually going to be let inside Gaza and the scale of devastation and carnage is not only going to be broadcast around the world but will also filter into Israel. Rocket fire into Israel, even if only sporadic, is likely to continue. For Israelis, the question: Is this a just war? (to which they have almost universally answered yes), will shift to the much more difficult question: What have we accomplished? Already it is becoming clear that the IDF and the war triumvirate are going to have a hard time giving a positive answer to this question. From the get-go everyone was disciplined about managing expectations by claiming that the destruction of Hamas was not the goal of the war. It wasn’t for lack of such a desire but because no rational analysis foresaw such a possibility. The rational goal — the one adopted because it was felt that this is what could make this a “winnable” war — was deterrence. The dictionary definition of deterrence is simple and familiar: Measures taken by a state or an alliance of states to prevent hostile action by another state. That clearly requires some modification when applied to a non-state actor but the outcome should nevertheless be the same. If deterrence is working, then the enemy is deterred from acts of hostility — but this isn’t the idea that the authors of the war on Gaza want to sell. This is why the post-war effort is going to be much more difficult than the war itself. Under the Livni-Barak-Olmert command the definition of deterrence is all about changing the enemy’s perceptions of Israel without necessarily fundamentally changing the enemy’s behavior. This is a way — it bears a certain legalistic brilliance — through which it is supposed to be possible to say “we won”, even though Hamas is still firing rockets at Sderot, or at the very least still retains the capacity to do so. During meetings of the Israel Defense Forces General Staff and of the heads of the state’s other security branches, officials have said that Israel achieved several days ago all that it possibly could in Gaza. The officials expressed reservations about launching the third phase of Operation Cast Lead, preferring for it to remain a threat at this stage. They added that it is better to cease the offensive now, just several days before the inauguration of new U.S. President Barack Obama. Israel has proven, the officials said, that it is no longer deterred from either launching such an operation, from a confrontation with Hamas, from deploying ground forces or from using reservists. What does that mean in plain English? If Hamas thought that Israel was hamstrung by a policy of restraint, the government of Gaza now knows that Israel is willing to let loose without fear of causing huge civilian casualties or receiving international condemnation. Israel is no longer deterred from liberating the full force of its violent capabilities. This is about deterrence and how to become free from it. It’s not that Hamas has been deterred; it’s that Israel is now undeterred. For a government and a population that, irrespective of what might objectively seem to be the case, felt shackled in challenging its enemies, there might be something persuasive about this non-deterrence argument. Benjamin Netanyahu however — the man still likely to become Israel’s next prime minister — has a rather simple counter argument. Unless Israel has a “clear victory” meaning that Hamas’ capability to attack Israel has been “crippled”, then the war has not been won. Once again, Israel will go to the polls and Hamas will have the casting vote. Can Tzipi Livni provide any convincing argument as to why Hamas should not vote for Netanyahu? Israel has clearly lost its self-proclaimed moral high ground by this apalling bloodshed.. The fact alone that its citizens are allowed to go on a trip to Parish Hill to have a mighty fine look at the massacre unfolding is repulsive. Arab countries that fought Israel since 1948 have been brought down. Israel education has been part of saving Israel. I hope that the Hamas and others stop sending the bombs into Israel. It can no good for them. However if they still go sending bombs then Israel start again. Nevertheless I think that there were wili not be much more. I think all the war of Arabas and Israel will end about 2012.